Did Man Accused Of Allegedly Killing His Daughter Commit ‘Honor Killing’? A father accused of killing his daughter was caught on surveillance video loading his revolver at a gas station the day before the shooting, a court has heard. Jamal Mansour, 64, from Rocky River, Ohio, has pleaded not guilty to aggravated murder and other charges stemming from the shooting of 27-year-old Tahani Mansour on September 27 in their family home. The father, a wealthy businessman, told a judge after his arrest that the shooting was accidental, however prosecutors argue the footage of him loading the weapon proves he had a ‘calculated plan’. Court records indicate Mansour said he shot his daughter ‘out of anger’. Authorities haven’t released further details about a potential motive. 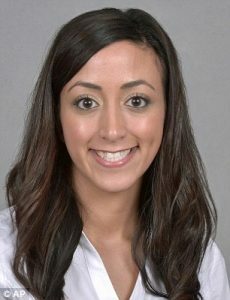 Prosecutors allege Mansour shot his daughter three times in the head, once from just one-foot away, Cleveland.com reports. The 27-year-old was found in her bed. During an arraignment hearing in September, Rocky River Prosecutor Michael O’Shea described the killing as an ‘execution’.